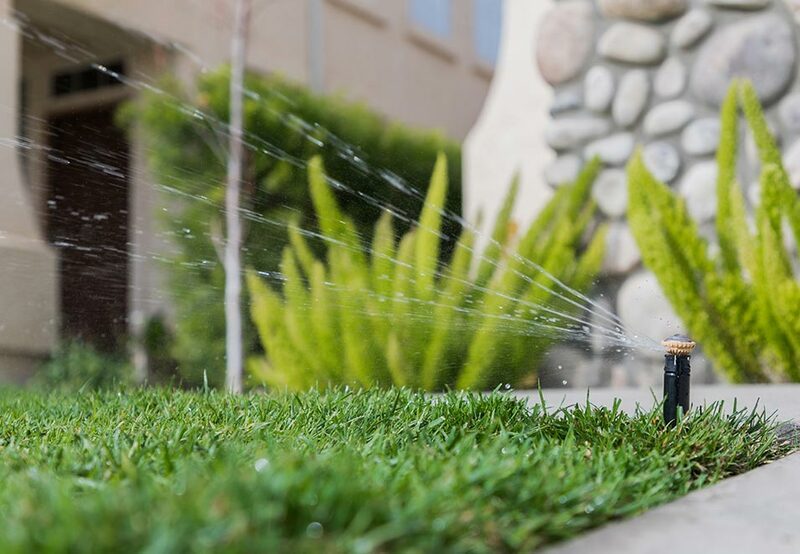 Have you ever noticed that your sprinklers flood a particular spot on your lawn? Perhaps you’ve seen water running off your garden before absorbing deep enough into the ground to get to your trees’ or shrubs’ roots? These are the exact problems low flow sprinkler heads were designed to solve. Low flow sprinkler heads spray less water, but operate for longer, so the water has a chance to properly absorb into the top of slopes or deep into garden soil. These sprinklers use less water, yet do a better job of delivering water to your plants’ roots. For homeowners, this means that you can save money on water costs, while also being environmentally-friendly. It’s a win-win. There are many different types of low flow sprinkler heads. Some, such as micro-sprinklers and adjustable drip emitters, are expensive systems most commonly used in agriculture for valuable crops. However, for homes in the Denver area, rotary nozzles are the best choice. Rotary nozzles have a few key advantages. They spray water out in intricate patterns across a relatively large lawn area, so that the water absorbs quickly and consistently. While they use lower pressure than typical sprinklers, they’re more powerful than other low-flow sprinkler heads, using 30-50 PSI. Hunter MP Rotator Head: A very popular rotary head, the Hunter MP has a huge range—314 sq. feet. Plus, we love that we can adjust its radius and arc to best water your specific yard. Rain Bird Rotary Nozzles: Though misting is a potential problem with low flow rotary sprinkler heads, Rain Bird Rotary Nozzles prevent it by delivering a stream of water instead of a spray. Otherwise, the water might evaporate before absorbing into your soil. Where Should You Use a Low Flow Sprinkler Head? However, strategic placement of these low flow sprinkler heads is vital. They won’t cover as much ground as sprinklers that use more pressure and water. On the other hand, they are better at watering slopes, where smaller, consistent amounts of water absorb better at the top of the hill, preventing flooding at the bottom. Green Mountain Turf has the expertise to place your sprinklers perfectly, so your whole yard is lush and green. What Do Low Flow Sprinkler Heads Cost? The rotary low flow sprinkler heads we install and repair are less costly than many other low flow sprinkler systems. Plus, low flow sprinkler heads will cost you less in water, saving you money over high flow systems. The exact cost of your system will depend on your plants, and the size of your yard or garden. Further, many cities in the Denver area offer rebates if you switch to a low flow sprinkler head. 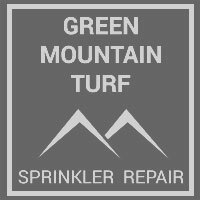 Our sprinkler specialists at Green Mountain Turf can tell you if you’re eligible for a rebate and answer any other questions you have about low flow sprinklers. Contact us today.